On Eid people return to their homes to celebrate the Eid with their families in any city. It is only a matter of spending time with a variety of dishes and family members in the house. But there are many people who go to a particular place and enjoy the taste of the Id on it. If you are also one of those people then let’s take a tour of the streets of Delhi Lucknow and Hyderabad in the streets. There are many areas in Delhi which are known for their special flavors. Especially in the old Delhi Chandni Chowk you will find many food and drink options. So if you want to taste some special flavors then you can turn to Delhi. Here you will find lots of food and drink options. If you want to enjoy Mughlai and Afghan flavors in the Sufi style restaurant then you can taste Kabad Ras Chicken Ras Chicken Tikka Kashmiri Gucci Shorba and Lahauri Mutton by visiting Hauz Khas Village. On the other hand you can enjoy wage and non-jazz pleas in the Paranathiwali street in Chandni and in the Jama Masjid market. Lucknow the city of Nawabs is famous for its imperial style and idiocy. Along with that the passion for Lucknow’s flavors is also not less. You can easily see the idiom’s popularity in Lucknow. Lucknow’s Roti Bazaar is famous for its specialty Roti and Biryani. It is market from Akbari Gate to the back of the Nakkhas Chowki where there are many other types of Roti like Schearmal Naan Khamri Roti Rumali Roti Kulcha Lacha Parantha Coriander Roti and Tanduri Parantha according to the retailer and hundreds. Apart from this you can also enjoy kebabs Biryani Naharis near Aminabazar Hazratganj Chowk. For kebabs you have to make a tunda kababi. The city of the Nizams Hyderabad is known for its culture and eating dishes. You will definitely get to know some of the famous dishes of the famous dishes of Hyderabad from any corner of the city and you will be able to show your attitude on the same side. There are also other Mughlai dishes in this city of Nizam Hyderabad whose flavors you will find here. People come here from far away to take care of handi meat black pepper chicken kebab ka kabab sik and shami kebabs. Tomato or tandoori bread food is common with meat but the meat with Khamri Sheermal is very different. You can enjoy flavors like Hyderabadi Biryani Boat Kabab and Gosht Pasanda near the Charminar Road here. 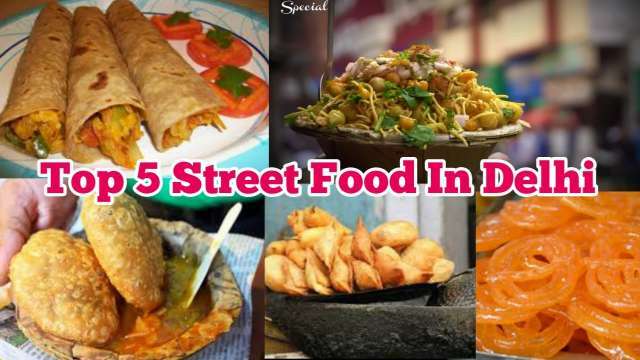 You will also find special interest in the restaurants of street food with the restaurants here.